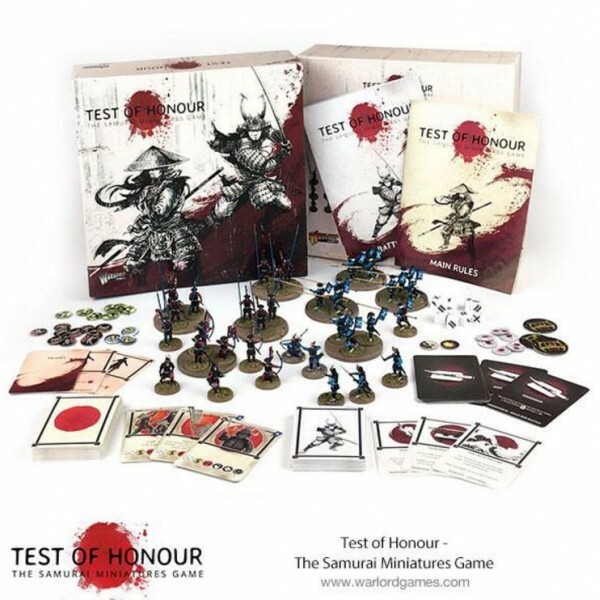 Test Of Honour - is a skirmish wargame played with roughly 5-20 models on each side. 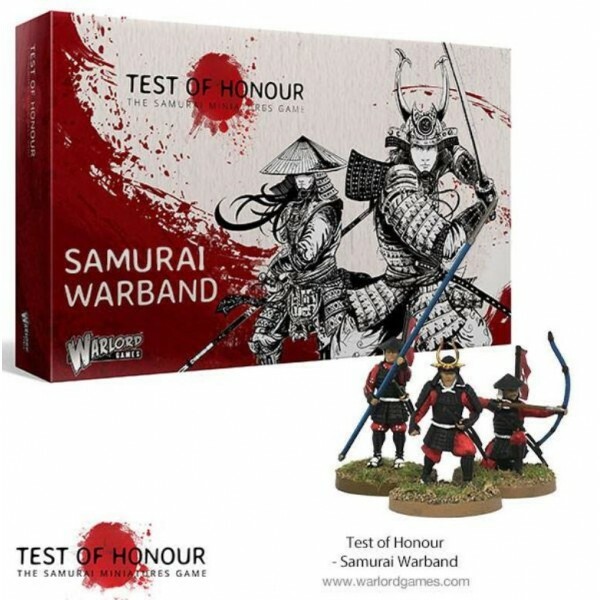 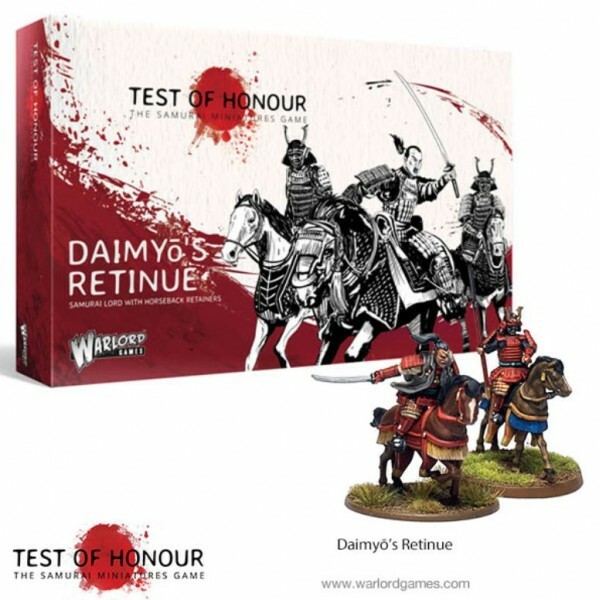 Players select their force before each game based around a samurai hero along with one or two loyal samurai companions and a variety of clan soldiers. 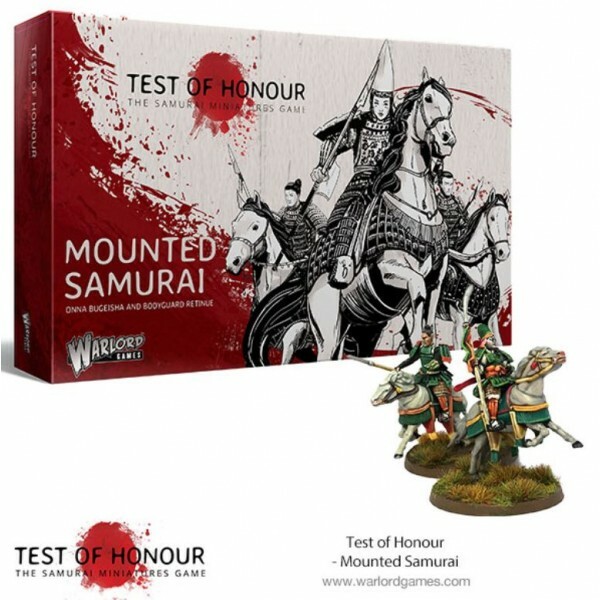 Test of Honour is a skirmish wargame played with roughly 5-20 models on each side. 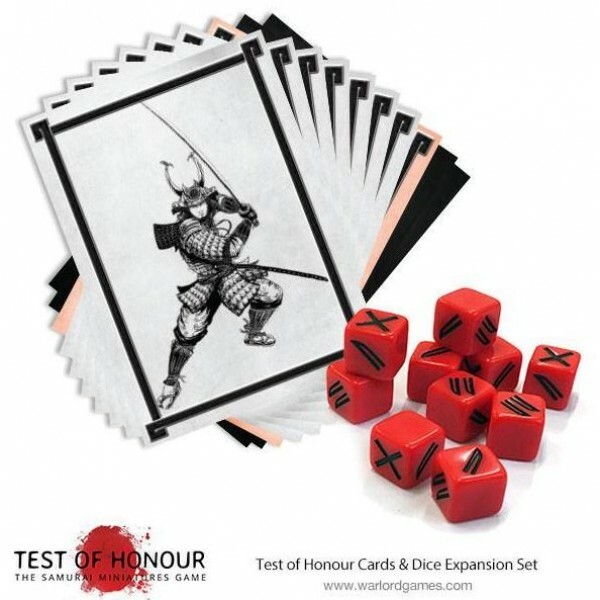 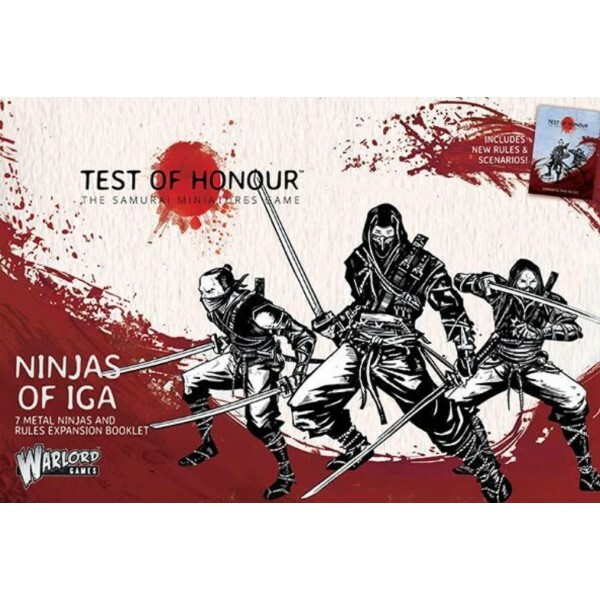 Players select..
Warlord Games - Test of Honour Dice & Card Expansion Pack An expansion pack for Test of .. 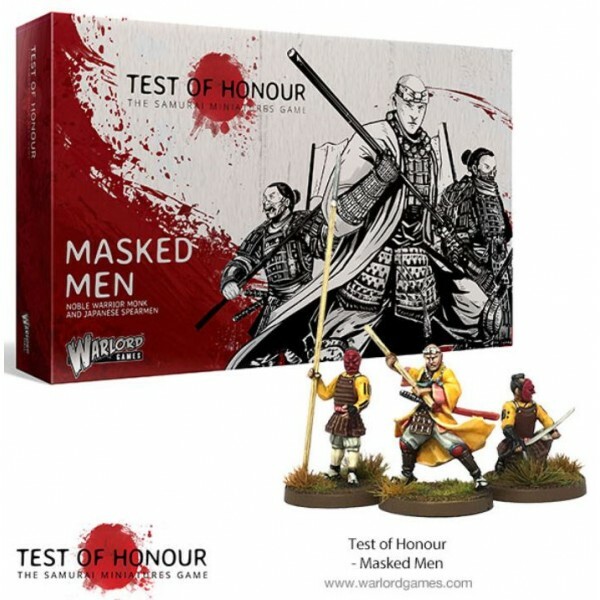 Following the murder of her husband, the widow Takeda Naoko dons the armour of a samurai and rides o..
Warrior Monk Masahiro has vowed to fight the injustices of the Japanese clans. 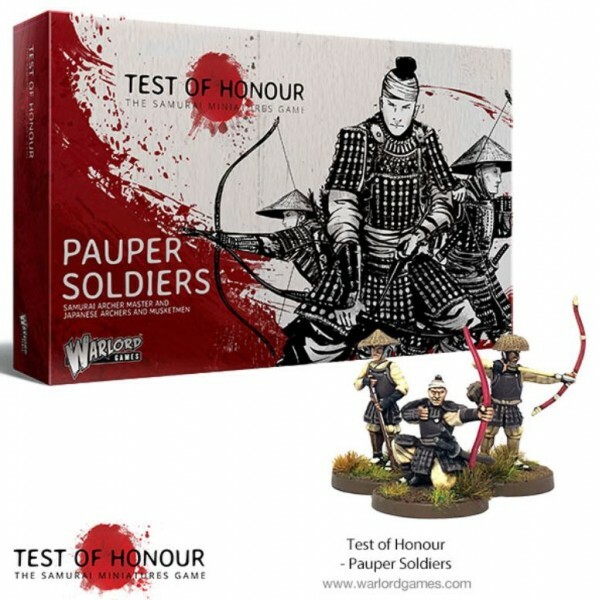 He and his followe.. 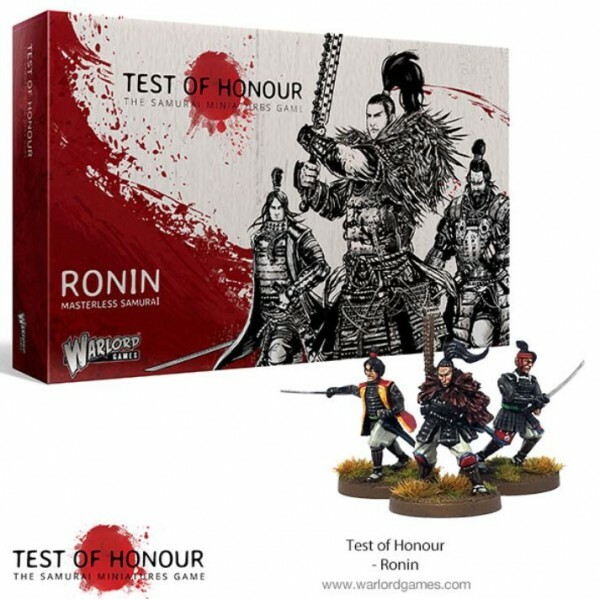 The masterless samurai known as ‘ronin’ roam the land as mercenaries and highwaymen. 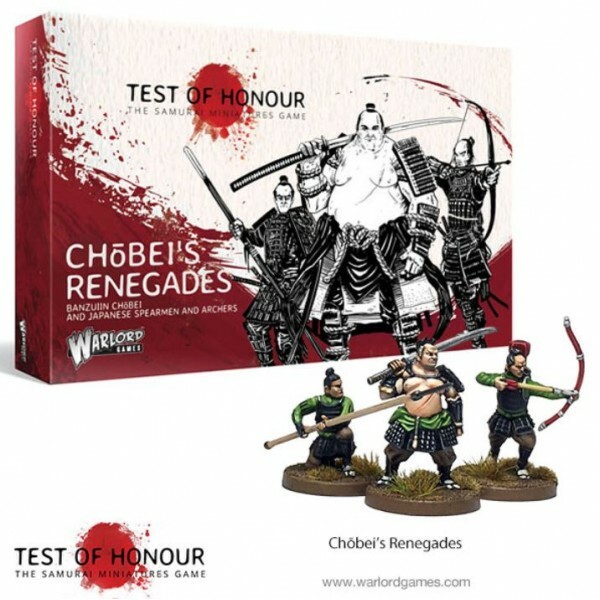 The warband of ..
Disinherited samurai lord Senzo ‘the Thorn’ leads a group of pauper soldiers, using his legendary..
Warlord Games - Test of Honour Samurai Warband Led by the highly skilled samurai, ..
Warlord Games - Test of Honour Chobei's Rebels Chōbei’s Renegades are a new faction for Test ..
Warlord Games - Test of Honour Daimyo's Retinue Ever confident of victory, Daimyō Osugawa cha.. 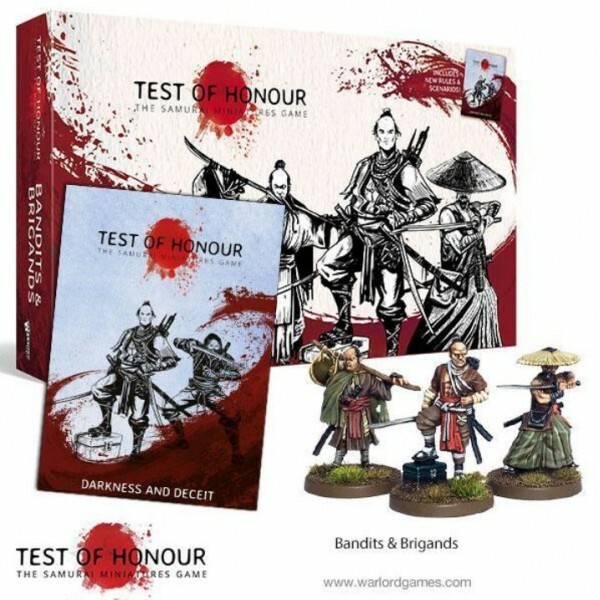 Description Kojirō leads a gang of bandits and brigands with a reputation for robbing travell..
Warlord Games - Test of Honour Bandits and Brigands Swordsmen Found in the bad section of town, t.. 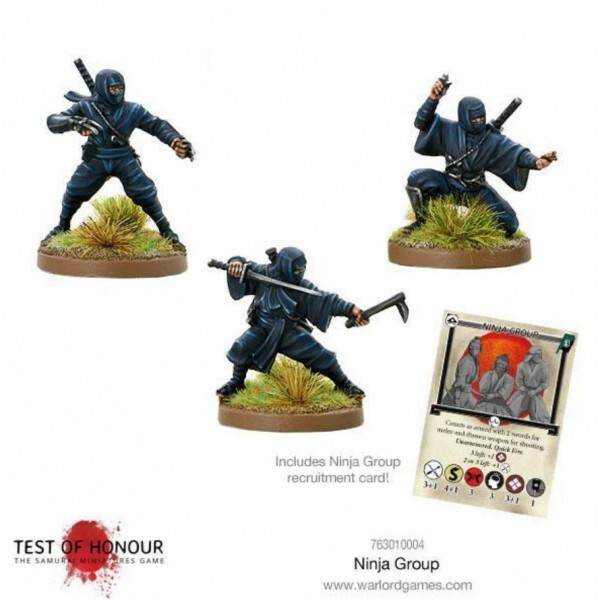 Description Hiding in the shadows, creeping in the corner of your eyes, the Ninja of Iga have.. 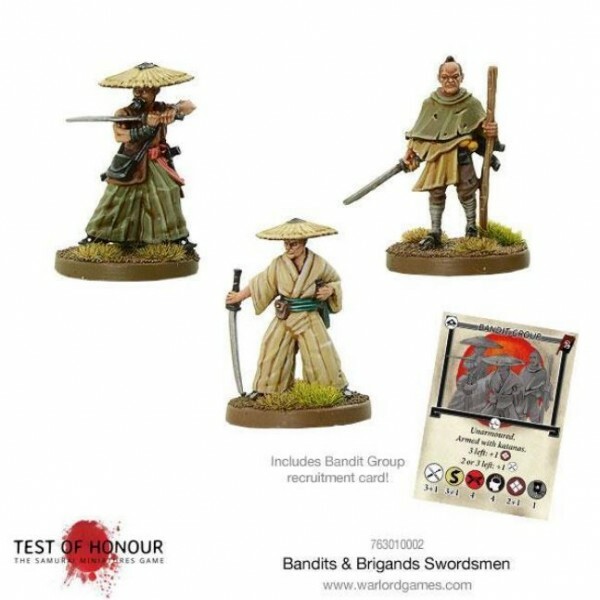 Description Experts of assassination, this 3 man kill team is the ideal counter to those pesk.. 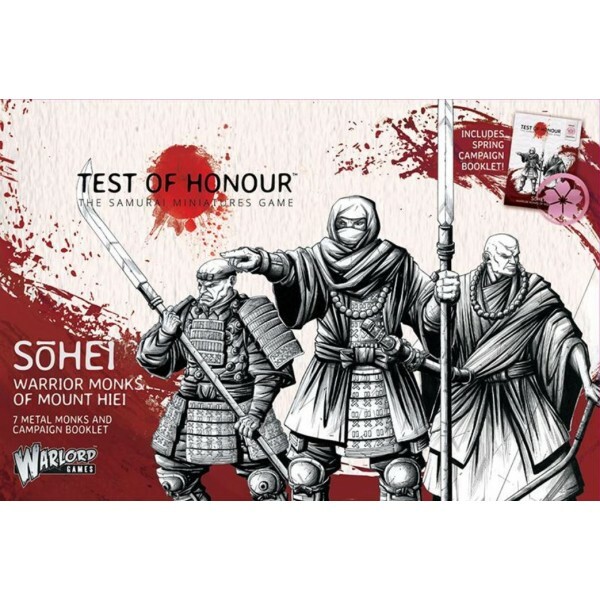 Description Hozoin In’ei, the abbot of the temple of Mount Hiei, leads his group of monks in .. 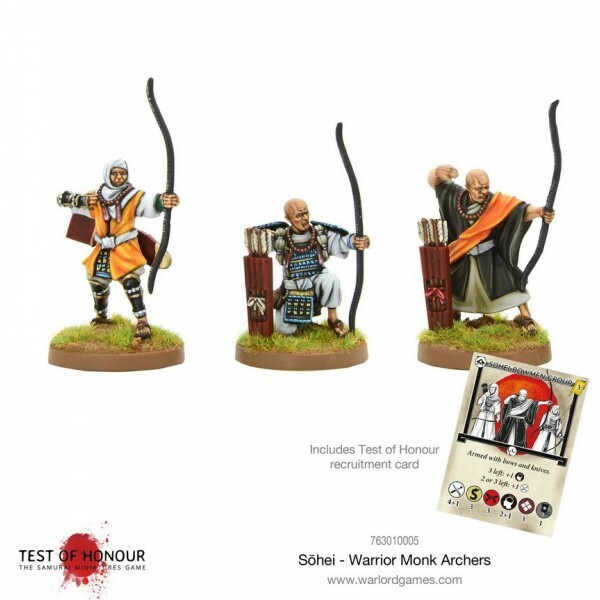 Description The archers' discipline to their craft shows when arrows strike the hearts of their t..